Strona głównaPraca Apleona HSG Sp. z o.o. Award in the category "Supplier of the Year in the Field of Maintenance" at the 4th Gala Manufacturing Excellence & Industrial Property Awards. 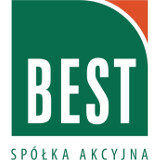 Award in the category „Facility Management Company” in CEE Europe. Award in the category „Facility Management Company of the Year” in Poland.